This is just delicious, and oh so right. I hope you are reading this Mary Nichols. “For years, the Elites of the West have cranked up the myth of Man Made Global Warming as a means first and foremost to control the lives and behaviors of their populations,” Mishin said. Mishin has a point. Global warming, climate change hysteria and environmentalism has become a ‘religion’ of irrational proportions. But it has also become a giant financial scheme as evidenced by the many government subsidized ‘Solyndra-type’ clean-energy scandals. 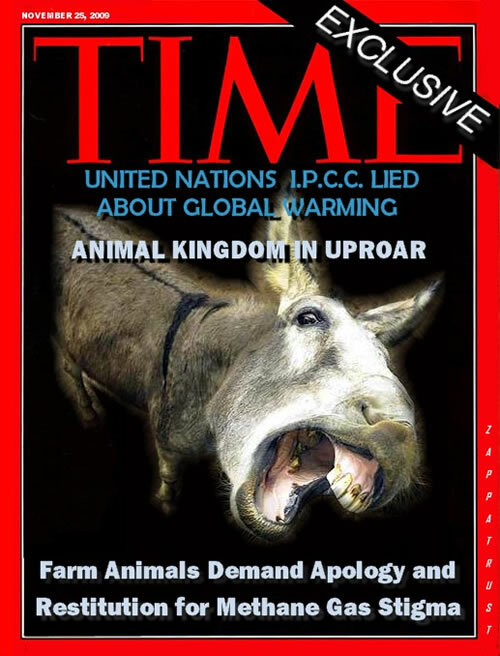 And, even as the TIME magazine cover admitted in 2009 (snort), the United Nations IPCC lied about the effects of global warming by using phony science and doctored data. It was revealed that The International Panel on Climate Change science was a deliberate hoax. But this hoax that is getting very expensive for the average U.S. taxpayer and citizen, and especially in California, where the CARB continues to pursue this bogus policy. Mary Nichols, agency director of the CARB, refuses to engage in any discussion about the phony science, and also refuses to acknowledge that California is already the third best state in the entire country in the carbon intensity of our economy, or that the United States is four times better than China, and better than the average of all other countries. Because Gov. Jerry Brown decided to allow the California Air Resources Board to monetize CO2 carbon emissions, and tax utility customers, business owners and taxpayers for the emissions, the state claims that it will take in an extra $1 billion in revenues. California taxpayers won’t just be paying for water, roads, and utilities anymore; we will be charged for the air as well, if Brown gets his way. But the new revenue stream is not any new money coming into the state; it is instead an additional $1 billion from the same old sources – businesses, manufacturers, utility customers, homeowners, property owners, automobile owners and taxpayers. In the Spring I had the pleasure of meeting with and interviewing Lord Christopher Moncton, Third Viscount of Benchley, whose unflappable logic on all matters ‘climate change’ should be what the media parrots, instead of the usual fear mongering drivel. Monckton traveled to Sacramento to testify at a legislative committee hearing on global warming and the California Air Resource’s Board’s cap and trade scheme. Monckton warned that if California continues down the road of selling and trading carbon emission credits, it will cost the state $450 billion by 2020. Monckton showed his data which found that even with $450 billion spent, the impact to curb total global emissions will be close to nil – just 0.4 percent will have been abated. “Yet the overriding difficulty in trying to model the climate is that it behaves as a chaotic object. We can never measure the values of its millions of defining parameters at any chosen moment to a sufficient precision to permit reliable projection of the bifurcations, or Sandy-like departures from an apparently steady state, that are inherent in the evolution of all objects that behave chaotically. Therefore, reliable, very-long-term modelling of future climate states is unattainable a priori,” Monckton recently wrote on the smart climate change website, Watts Up With That? Perhaps Stanislav Mishin is also a fan of Monckton’s logic. Read Mishin’s column in Pravda, and read Monckton’s guest column in Watts Up with That?, also a thoroughly credible global warming myth-busting website. The logic is contagious. This entry was posted on Monday, January 7th, 2013 at 11:08 am and is filed under Blog Posts.